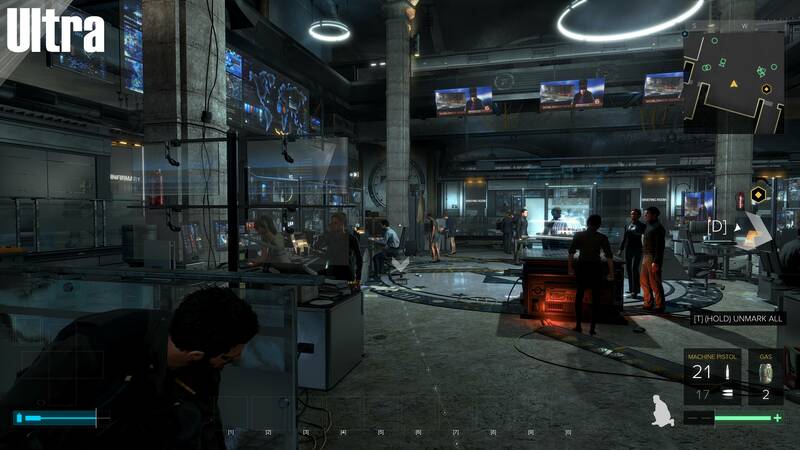 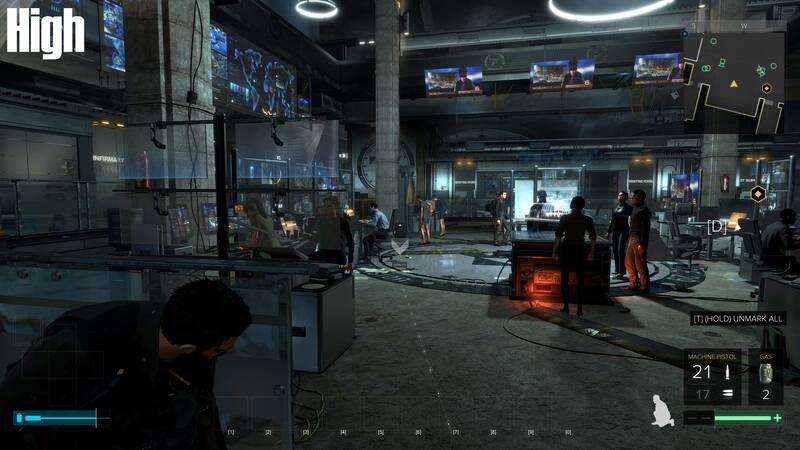 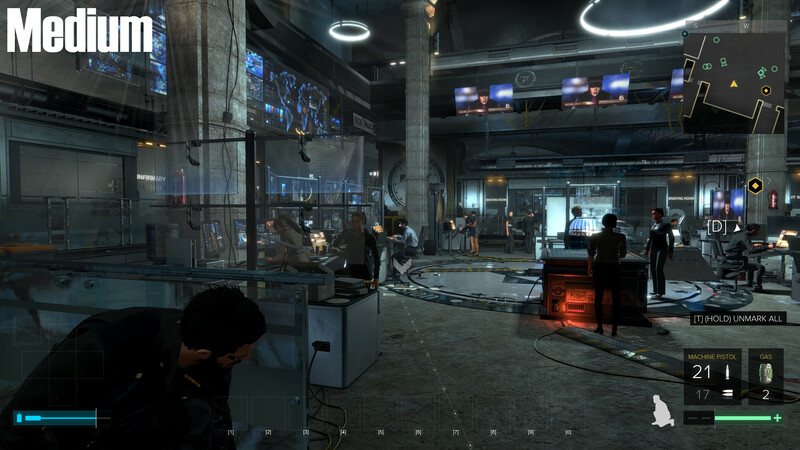 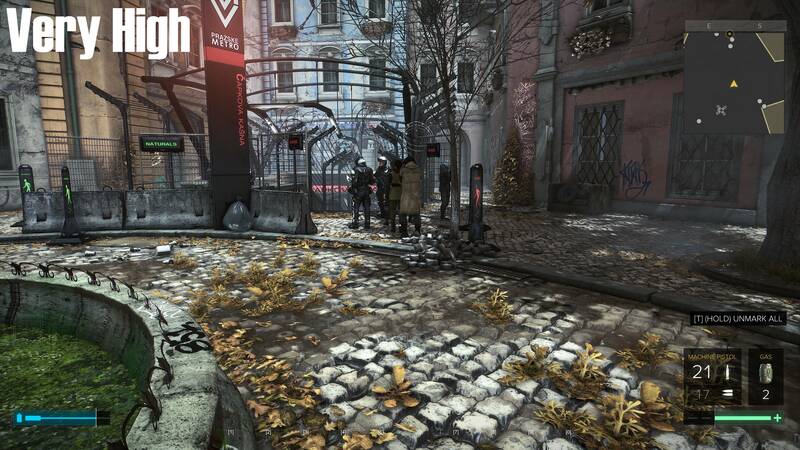 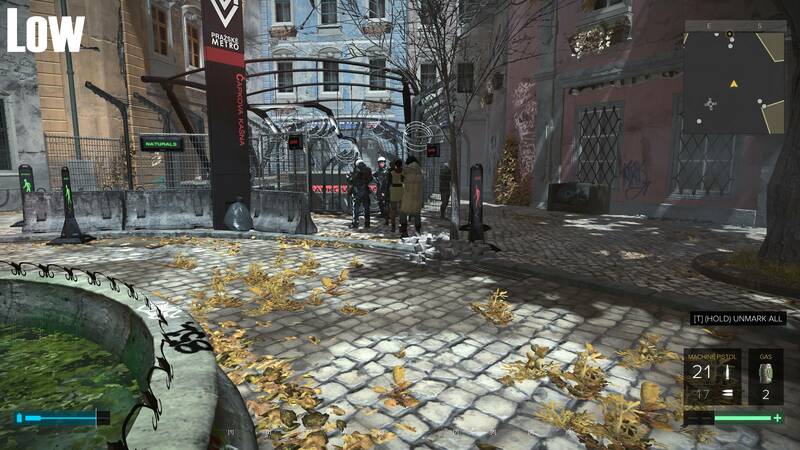 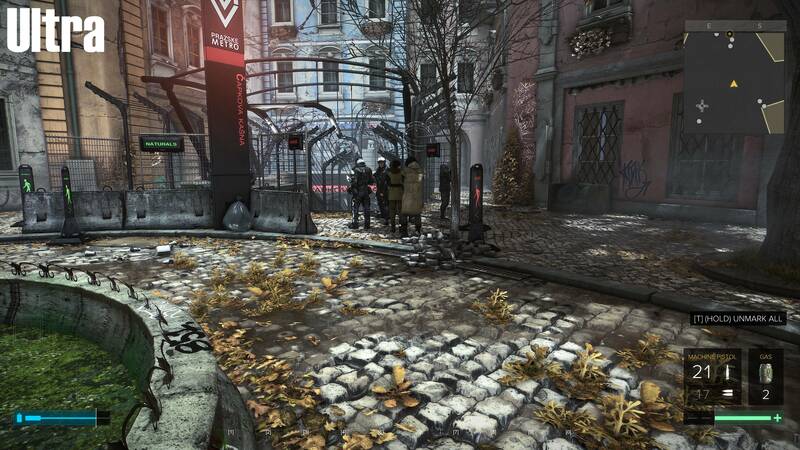 Again at low settings Deus Ex: Mankind Divided is far from ugly, though moving through the game's graphical settings does have an enormous impact on details like the cobbled pavements and the game's lighting and shadow quality. 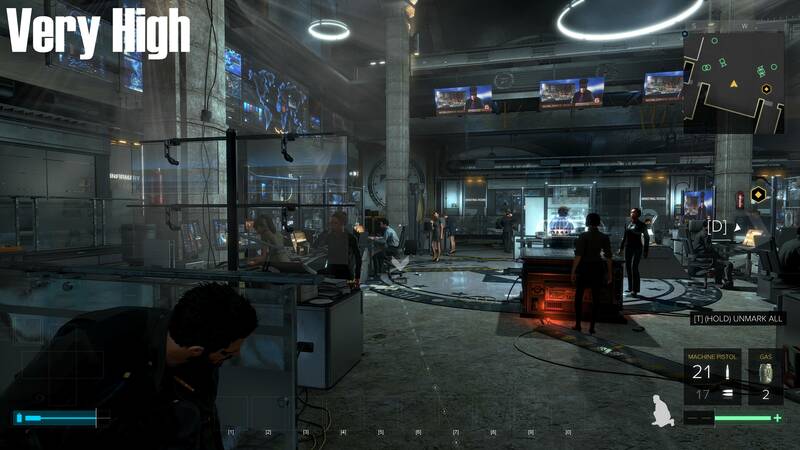 Outside of a side-by-side comparison, the graphical details above high will have almost no real impact when the game is in motion, leaving me to advise that gamers do not play over high to get the best performance. 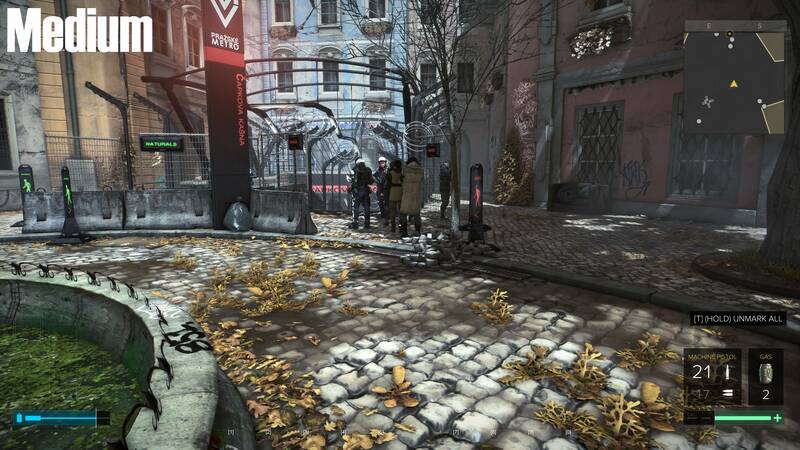 In plenty of location in the game, there is almost no graphical difference between a lot of the game's graphical settings, with the largest differences being in shadow resolution and other minor details that are only visible upon close inspection.